White Buffalos win Madras Invitational and hosts district tournament on Friday and Saturday. 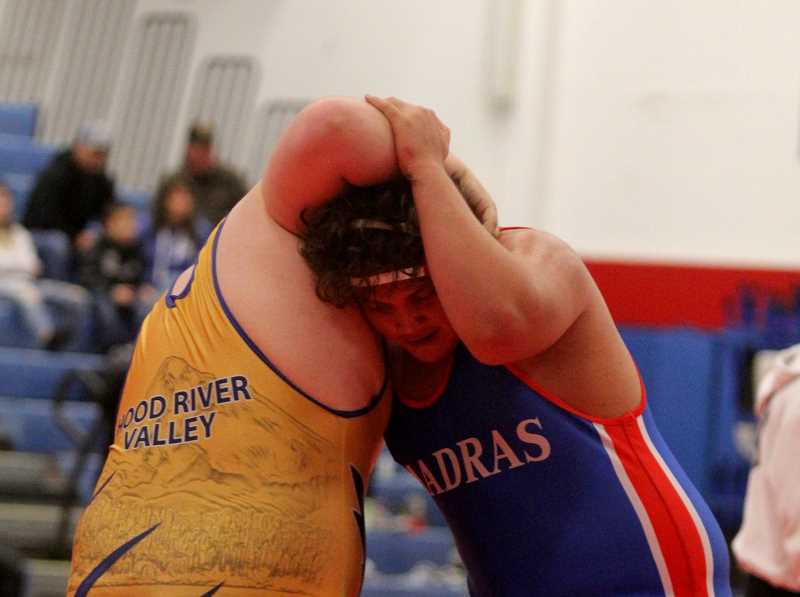 The Madras White Buffalos wrestling program won their home Madras Invitational — and it was at the perfect time. This was the program's first large tournament win in around five years. 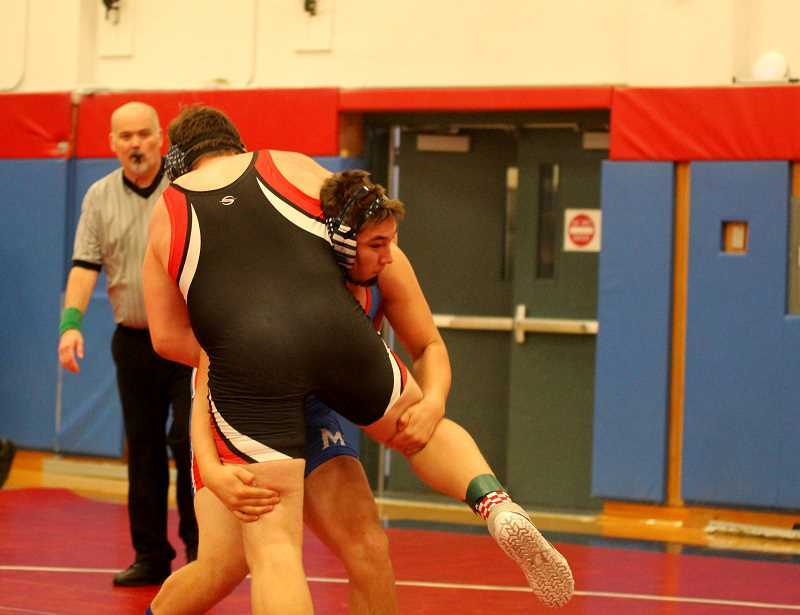 They host districts this weekend Friday at 4 p.m. and Saturday 10 a.m.
Madras scored 160 points to claim first place, while Hood River (157), Molalla (141), Ridgeview (127), The Dalles (123), Sisters (96), and Corbett (82) were all behind them. The White Buffalos had three first-place finishers in Victor Torres, Kody Zemke, and Reece White. David Sumner and Malachai Alire finished in second place. Torres (160) received a bye in the first round and beat Opath Silapath, of The Dalles, by fall in 1-minute and 51 seconds. He was able to beat another Riverhawk, Steven Preston, by fall in 3:58, in placing first. Zemke (220) also received a bye and beat Riverhawk wrestler Miguel Torres in 2-minutes. In the finals, Zemke only needed 1:10 to pin Matthew Krieger, of Corbett. Freshman Reece White (170) improved his season record to 33-9 after pinning all of his opponents in less than 2-minutes. "I just found out we won the tournament, so that is really good," White said. "This is the first tournament we had more than two first-place finishers and so I would say we did pretty good. I performed to the best of my ability today." "I have been able to have success as a freshman through good practice partners," he said. "I expected my freshman season to be a bit more rough, but it is only getting easier as I have gotten better. 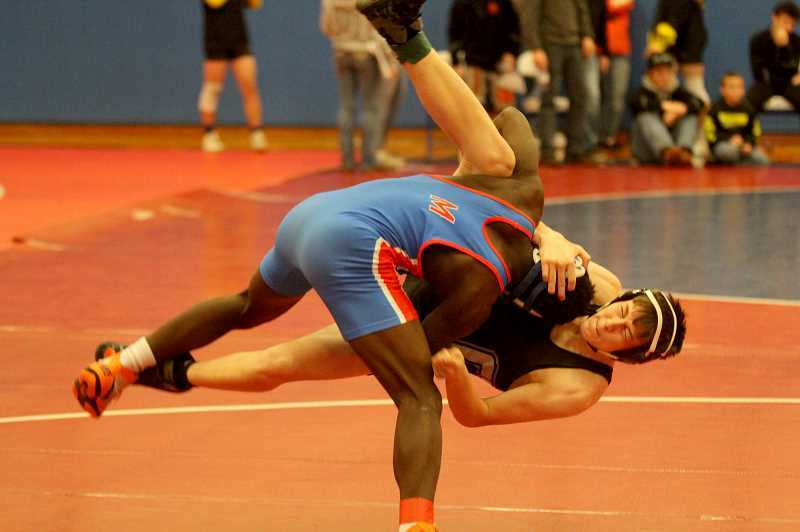 My goals is to place at districts, make it to state and place at state." Sumner (285) won his semifinals match over Damien King, of Sisters, by fall in 3:35, but lost to Hood River wrestler, Cody Durham, by fall in 3:09, placing second for the Buffs. Alire (120) went 1-1 on the day and finished in second-place. Colin Switzler (132) won a 11-3 major decision, but was pinned in 9 seconds during the semifinals match. He bounced back to win by fall in 2:20 to place third. Orlando Torres (138) pinned his first opponent in 1:51, but lost by fall in 3:56 by Andrew Richman, of The Dalles. Torres won his third-place match in a 12-4 major decision for Madras. Several other White Buffalos were able to place top five for the Buffs including senior Osmar Piza. "Senior night was pretty nerve wracking at first, but with all of hard work we put in, the team knew we were going to do great," Piza said. "This feels really good, winning a home tournament. These were hard teams we faced. Things came up in my life and I had to skip wrestling for a bit. That was really hard, but being back feels amazing and the team is just getting ready for districts and state now. If I could make it to state, it would be an honor."